We recently interviewed Wes Hannah, the Communications Coordinator and Organizer for The National Young Farmers Coalition (NYFC). Below, he gives some background information on the NYFC including what the organization offers, and sheds light on valuable resources, for young farmers everywhere. • Can you give us a brief description of what The National Young Farmers Coalition (NYFC) does? NYFC is a grassroots coalition dedicated to representing, engaging and mobilizing young and begining farmers and ranchers to work toward their success In our advocacy work, we bring the young farmer voice to the table on federal policy discussions. In areas ranging from USDA programming to food safety regulations, NYFC makes sure the next generation receives the support it needs to be successful. At the same time, we work with farmers around the country to organize local coalitions. These affiliated groups organize for mutual aid in everything from social networking to labor sharing to group purchasing of supplies. • What resources do you think are most valuable for young farmers to explore? We have the privilege to interact with thousands of farmers at all different stages in their careers. I would say the most valuable realization that young farmers have is that there is an immense amount of knowledge out there, whether on the production side or the business side. The key is recognizing your needs and reaching out; we see connections developing all the time between beginning farmers and their cooperative extension agents, more experienced farmers, and especially between each other. At the same time, I think there are some specific resources that we heartily recommend more young farmers should explore. We've worked with land trusts around the country looking at the way they combine their conservation focus with incentivizing land transfer to a younger generation. While there's a lot more that can be done, young farmers need to be reaching out to land resources like that. Additionally, there are great programs out there from the USDA and state governments designed to support education and land access for younger farmers. The more demand we as a movement can show for those programs, the more we'll be able to successfully push for improving and increasing them. • What are the some of the biggest challenges that young farmers face? That question lies at the core of NYFC's mission. When NYFC first formed, we conducted a survey of over 1,000 young and beginning farmers, asking them that very question. The greatest challenges young farmers are facing are land access, lack of capital and credit, and access to healthcare. The cost and availability of land is an enormous issue for beginning farmers, especially given that many do not come from farming backgrounds. We've seen a huge increase in land prices over the past decade, along with a concentration of land in the hands of older farmers. These together mean that the next generation is facing a tougher time in acquiring the land they need to start successful businesses. Starting a farm can be an expensive proposition, so the concern over lack of capital is not surprising. We've seen many new farmers turning to vegetable production over animals or other enterprises because of the lower start-up costs. Despite the USDA programs designed to help them, many beginning farmers still struggle with accessing those basic needs for their new operations. Finally, healthcare tends to be a huge problem. Farming is one of the most dangerous professions in the country, and because many new farmers are self-employed, many of them can't afford health insurance. We have heard numerous stories of on-farm accidents that put a huge financial strain on a farm because of that problem. • What do you think are some of The National Young Farmers Coalition biggest triumphs over the past year? NYFC has been taking on a number of different issues, from pushing for the passage of a pro-farmer farm bill to analyzing the way land trusts interact with beginning farmers. One recent triumph is our food safety campaign. Earlier this year, the FDA released their draft of new food safety regulations for produce farms and facilities. This was the first time those laws were rewritten in nearly seventy years, and there are huge long-term ramifications for how they affect beginning farmers, as well as the entire agricultural community. NYFC worked with a coalition of other organizations in poring over the rules and producing a comprehensive analysis. We worked with our affiliates and members around the country to organize the National Day of Action to Save Local Farms, a grassroots project designed to compile hundreds of comments to the FDA before their comment period closes. To date, we've organized over seventy letter-writing parties in thirty states, and we are confident that we can effect positive change in the FDA's regulations. • What are some of the perks of being a NYFC member for young farmers? Being involved with NYFC means being a part of a nation-wide community of beginning farmers who share resources, organize in local coalitions and advocate for each other. Being a part of that community means creating better systems that will improve conditions for all farmers everywhere. At the same time, we know that farmers need immediate support in their careers. That's why we've worked with more than a dozen agriculture-related companies to provide useful discounts to help out right now. 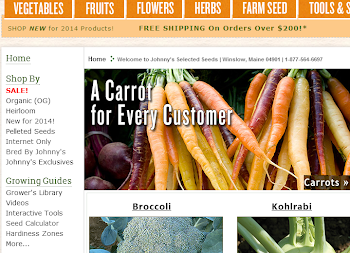 NYFC members have access to 5% off at Johnny's Selected Seeds, 10% off Working Person's Store and many other great deals. • What role does Social Media play in the work the NYFC does? Social media is a huge part of NYFC's work. The coalition's organizing and advocacy successes depend on the activism and enthusiasm of thousands of our supporters. 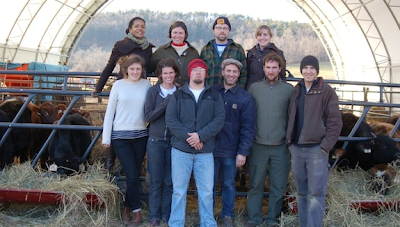 We rely on the viral energy of beginning farmers to spread the word and recruit each other. While in-person meet-ups and conversations form the backbone of farmer organizing, social media often jump-starts our outreach and allows us to stay connected with countless young farmers on a regular basis. • What are some of the biggest misconceptions people tend to have about getting into farming? There is a common conception of agriculture in America as been focused only on large mono-culture farms. The truth is, the farming community in this country is incredibly diverse, from the small-scale, intensive vegetable farms and dairy operations to the massive tracts of wheat and corn. There is a place for every newcomer to find success, regardless of their passion. • What’s the best way for someone to learn more about the work that the The National Young Farmers Coalition does? The first step is to check out NYFC's website at youngfarmers.org! 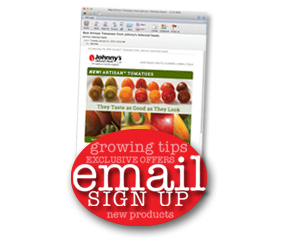 We have more information about the growing beginning farmer community and how to get involved. We also have resources and databases for more information, and regular updates on the NYFC blog.